Capcom’s and CD Projekt RED’s collab of Monster Hunter: World and The Witcher 3: Wild Hunt is officially live on all platforms thanks to the latest update for the game. The crossover event was announced back in 2018, but the long wait has finally come to an end. 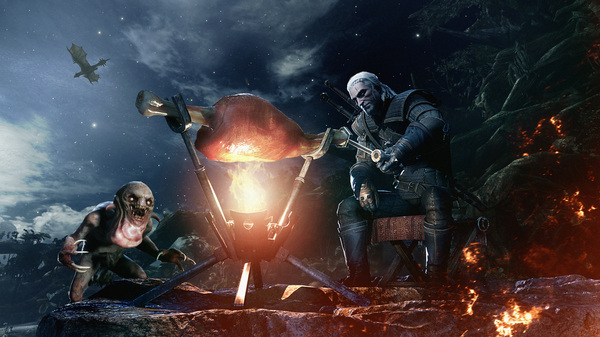 Witcher fans will be treated to a new storyline quest that involves playing the monster-slayer himself, Geralt; as well as some new snazzy gear to unlock. Oh, and one more cool thing, the voice actor for Geralt from Wild Hunt has returned to reprise his role. The Monster Hunter: World x The Witcher 3: Wild Hunt event is now live on all platforms. Will you be booting up Monster Hunter World back up? Let us know in the comments below!